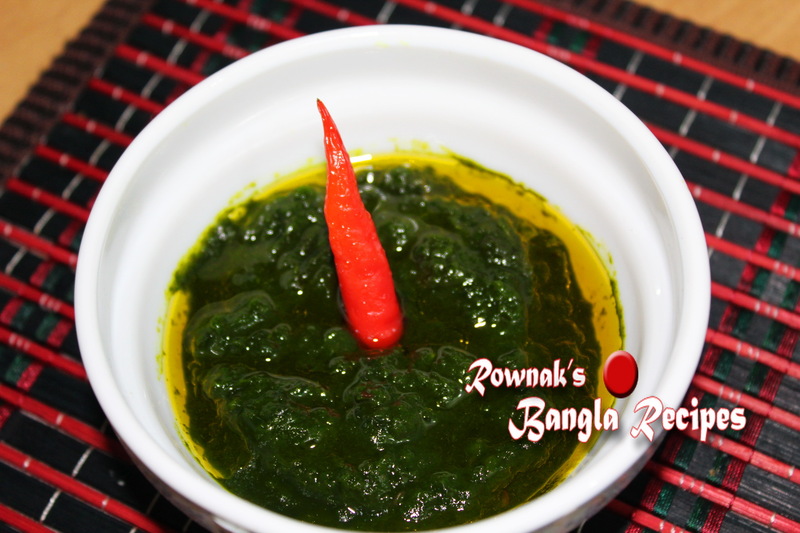 Coriander Chutney/ Dhone Patar Chutney /Dhone Pata Bhorta is a delish dish. Some likes it bit tangy. If you want tangy, you can use tamarind or lemon. Personally I like both flavour(tangy or without tangy). Enjoy. 1. Add everything except mustard oil in grinder and make smooth paste. 2. 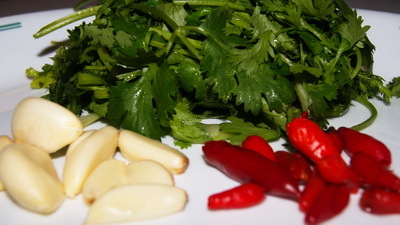 Mix the oil and serve Coriander Chutney/ Dhone Patar Chutney /Dhone Pata Bhorta with rice or roti. Even use it to make health sandwich. Tips: Sometimes you need add water for making smooth paste but use water as less possible. Keep on eyes I will some awesome bhorta recipe soon. Thanks. apu ei chutney ta bananor por jar’er modde rakhte chaile koto din rakha jabe please janaben? Refrigerator-e apni anekdin rakhe parben . ami 14 days porjonto rekhechhi.Refrigerator chara kokhono rahi ni. Thanks.